Behold, Our Winning Book Cover! Available for Pre-Order Now! AND Music! Behold, Our Winning Book Cover & First Listen to the MUSIC (written and performed by yours truly)! Available for Pre-Order Now! Ladies and Gents, we have ourselves a winning cover and music!!!! You’ve rocked with me during this launch, spread the word on social media, watched my videos and when the time came, you voted on your favorite cover. Wow, you put in a lot of work with me– I could call you my co-authors at this point, but then I’d have to send you a 10 page task list of things still left to do! Yeah, I didn’t think you’d have the time to take on that load, which is why being a launch buddy is right up your alley! You get to watch videos, laugh at with me, listen to music, read some fiction and vote on a book cover. Life is sweeeeet! I do hope you enjoyed all of the Book Launch Journey videos so far. But, if you missed any of the videos, click here. Let’s Make Our Book a Best Seller! Before I reveal our winning book cover, there are a few extremely important things we need to do to ensure that our book becomes a best seller! Share Our Journey! – 92% of consumers find word of mouth to be the best form of advertising! That’s were YOU come in. All you have to do is TELL PEOPLE! 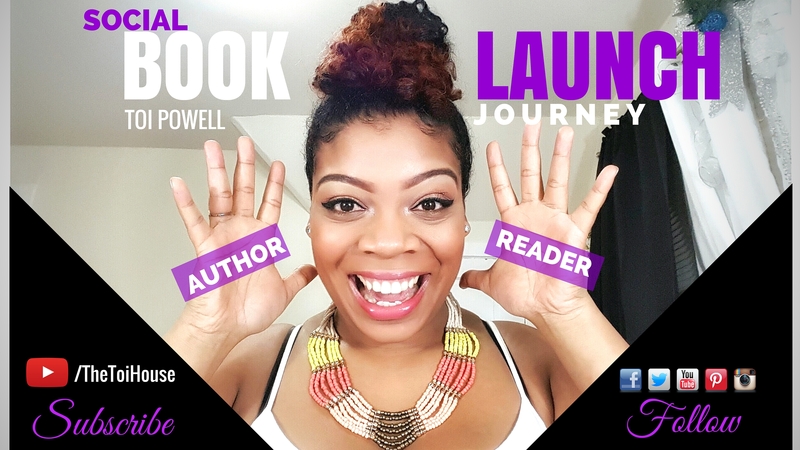 Invite your family, friends & co-workers to sign up for the launch mailing list, and join our Secret Book Launch Community! Tell them about this amazing author to reader experience we’re all a part of! Tell them to watch the videos and laugh with the rest of us. And when the book is launched on 8/7/16, tell them to go get it and tell their friends about it. Social Media – Invite your friends and followers to join us on all of your favorite social media networks! Let them know about what you’ve been working on, what you’ve been a part of over these past few weeks! @TheToiHouse #BloodofaQueen #ToiPowell on Twitter! Review – Once the book launches on 8/7/16 , I can’t stress to you the importance of leaving an amazing Amazon review (Not that I’m trying to sway your opinion of the book lol). But, this is one of the top reasons why a book becomes a best seller in its category. Leave a review on the book and tell reviewers about our journey! Let Amazon and potential readers know that this book is amazing and available because of YOU! Listen to the music for Blood of a Queen! Don’t forget to click on the images to pre-order the ebook! The print copy and music will be available to order on 8/7/16. Share your thoughts and feedback in our Secret Book Launch Community! Previous PostI’m back with a sneak peek! SBLJ: Ep 4Next PostPreview the Music!